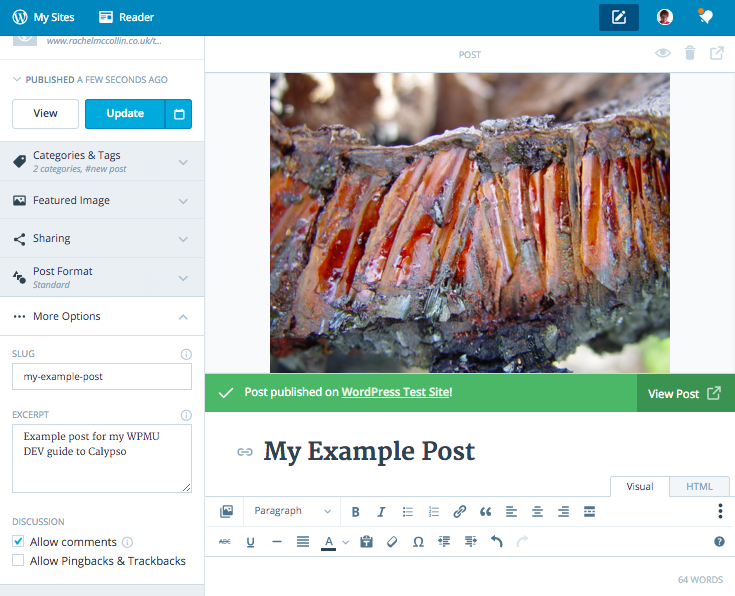 If you’ve been reading about Calypso, the new system for managing your WordPress site from Automattic, you may be wondering how it works and what’s different from the familiar WordPress admin screens. Calypso is an exciting development. It’s inspired me to think about how the WordPress REST API could be used to build custom WordPress admin systems in the future. But it does have a downside at the moment – it doesn’t use the REST API for self-hosted sites, but the WordPress.com REST API, which you can only link your site to by installing Jetpack and setting up a WordPress.com account (the teams behind the two APIs are working together to converge these so this may change in future). If you’re happy doing this, then it’s a great way to manage all of your WordPress sites from one place, and the user interface has its benefits too. 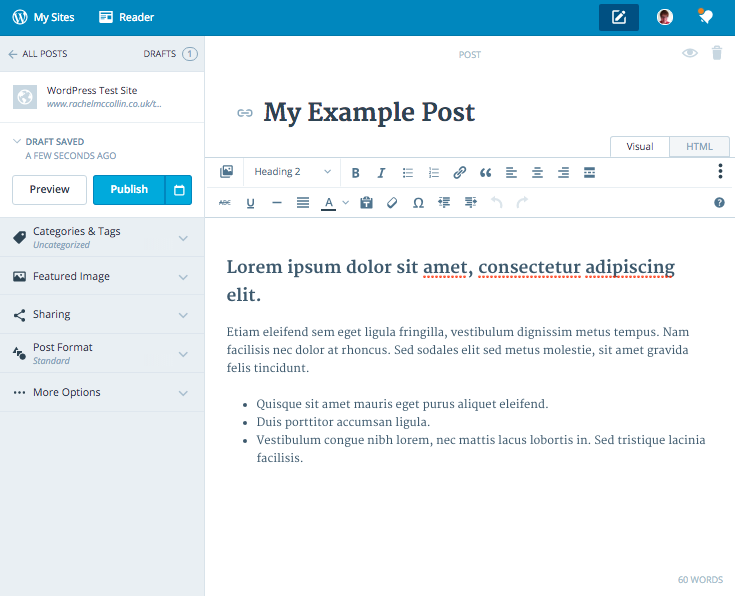 In this post, I’ll give you a guided tour of the Calypso interface and show you how to create and edit content and manage your site with it. 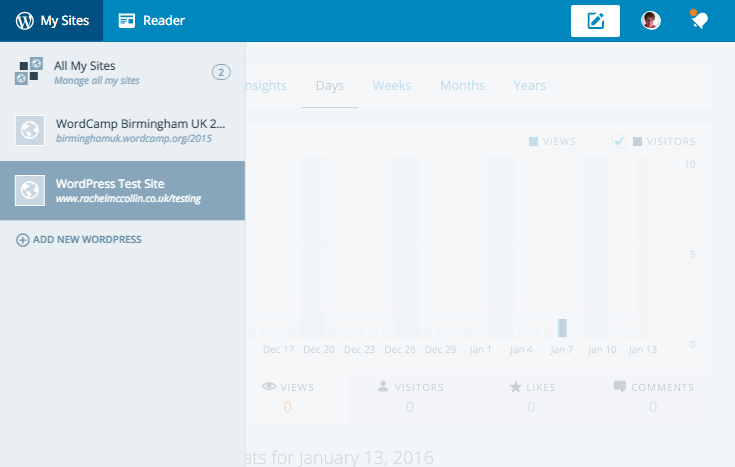 Mine doesn’t have any stats yet as I’ve only just activated JetPack – these stats will build up as your site pulls in traffic. Note: If you want to use the desktop app instead (it has the exact same interface), you can download it from the Calypso website. Let’s take a look at creating content via the Calypso screens. First, adding a new post. 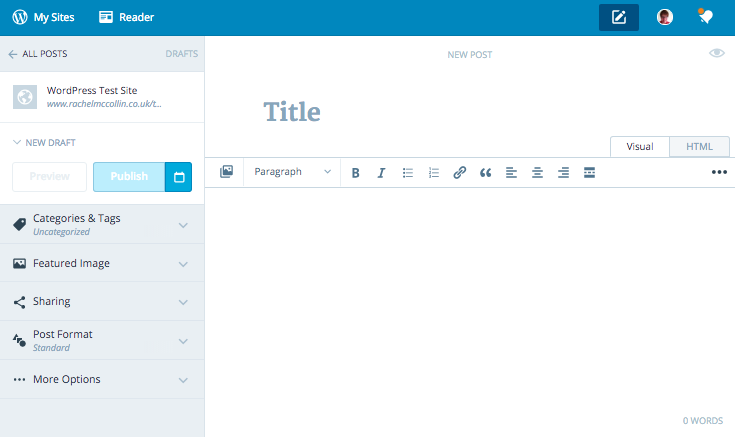 Type in your post title and content in the title and content areas in a similar way as you would using the WordPress admin screens. 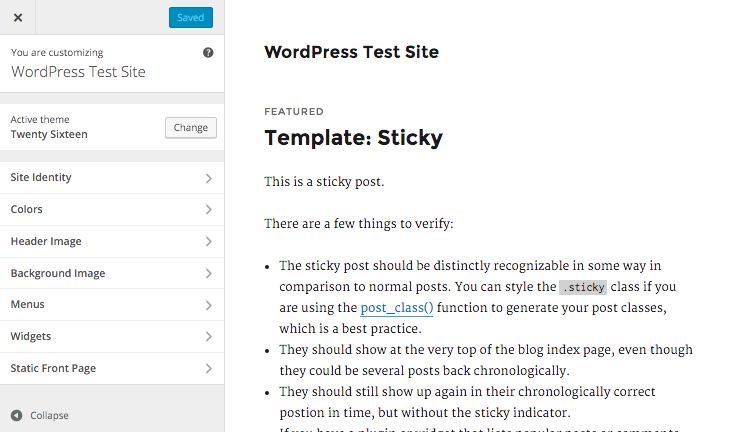 The formatting options available to you are the same as in the WordPress admin. Click on the toggle icon to the right of the formatting bar to toggle the advanced formatting options (sometimes called the kitchen sink) on and off. To upload an image click the Add New button. 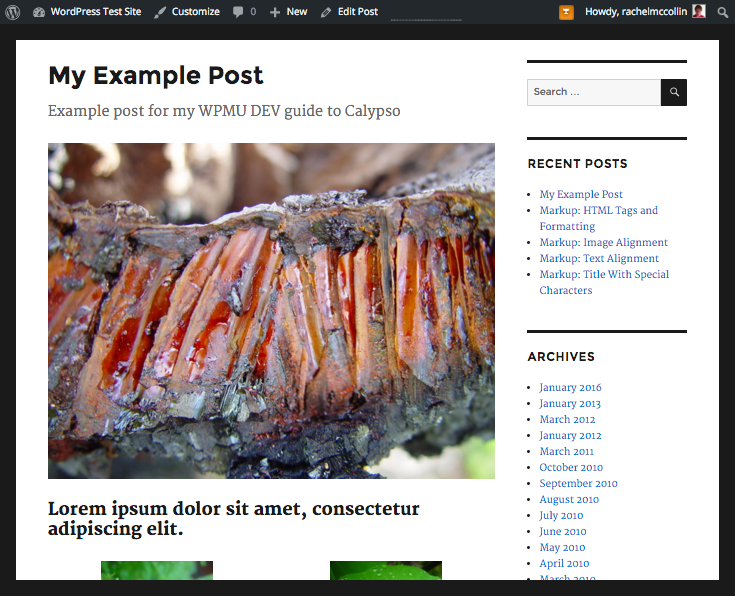 This is just one example of how the text used on inputs and prompts in Calypso is slightly different from the standard WordPress admin screens – terms like Add New are used in place of Upload because it’s more intuitive for users. 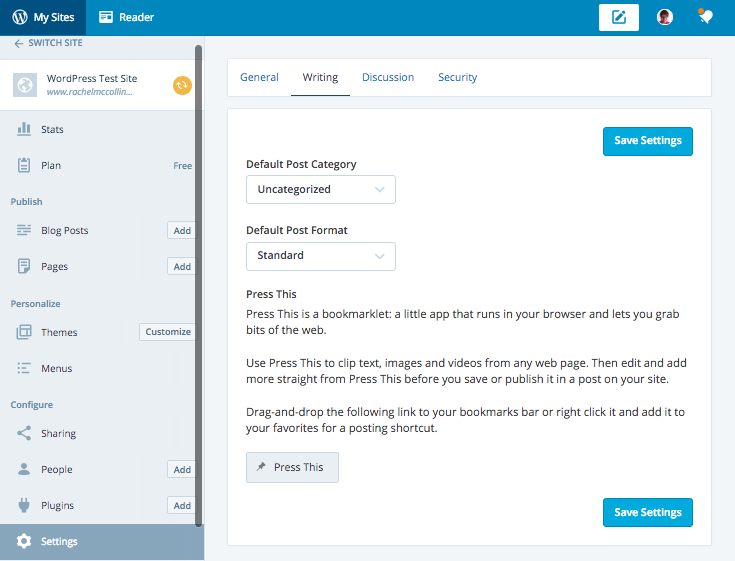 You can drag media files onto the screen just as you would in the WordPress admin. 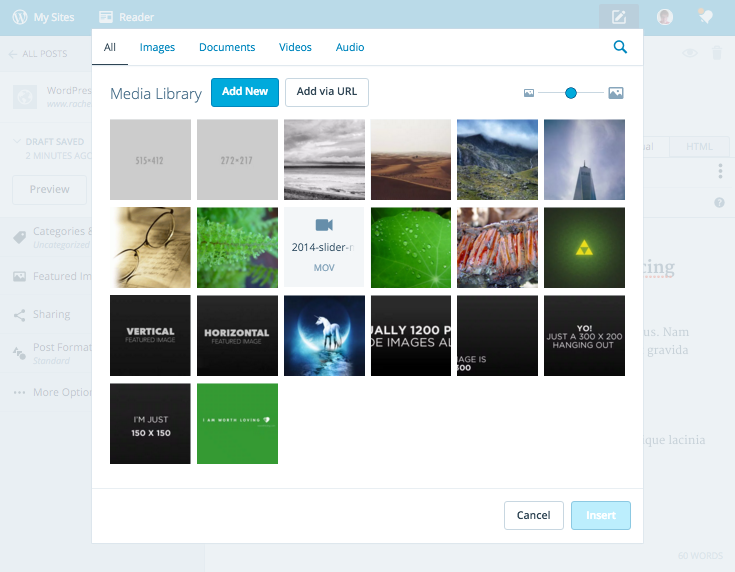 The Media Library separates attachments into images, documents, video and audio, which you can access via links at the top of the screen. This will make it easier to find media files of a specific type. If you want to create a gallery, there isn’t a button for this, instead, just select more than one image and click the Continue button. This takes you to a screen where you can edit the gallery layout. 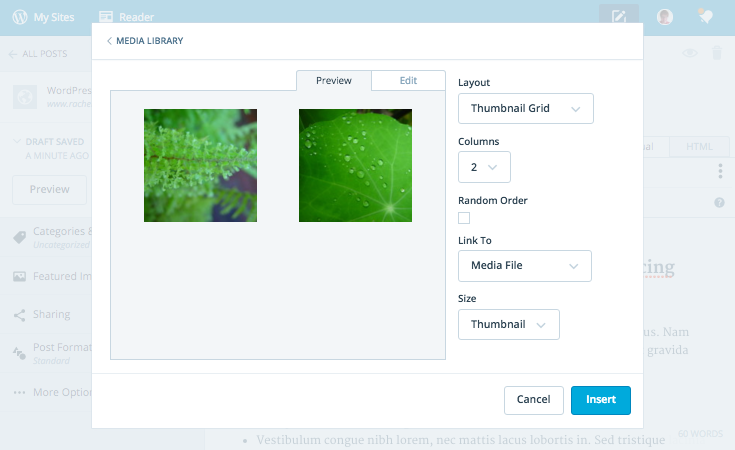 You can choose to display full size images, a grid of thumbnails or a slideshow. Then click the Insert button to insert your gallery to your page. Once you’ve got your post ready, you’ll probably be wondering where the metabox is for publishing it. 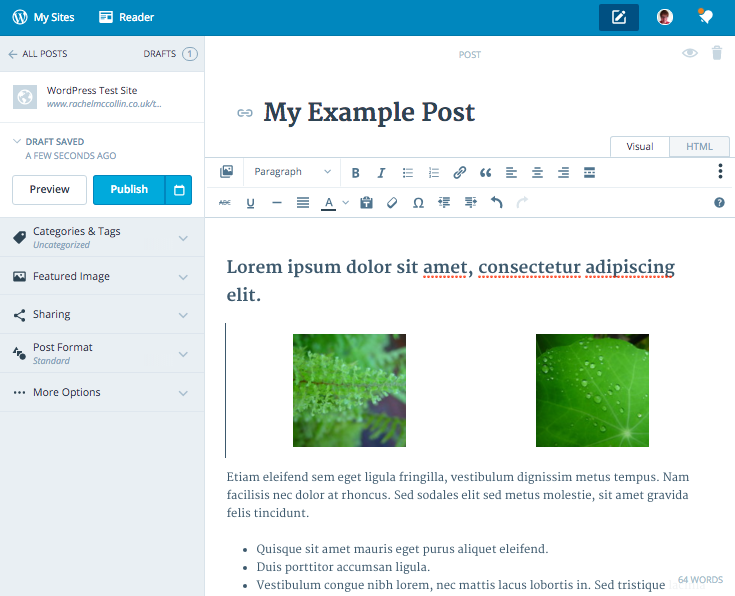 Calypso works slightly differently – instead of using a metabox on the right, you use the Publish button on the left. You’ll also see tabs for categories and tags, featured images, sharing, post formats and more here: this is where you’ll find everything you’ll normally find in metaboxes on the main screen. 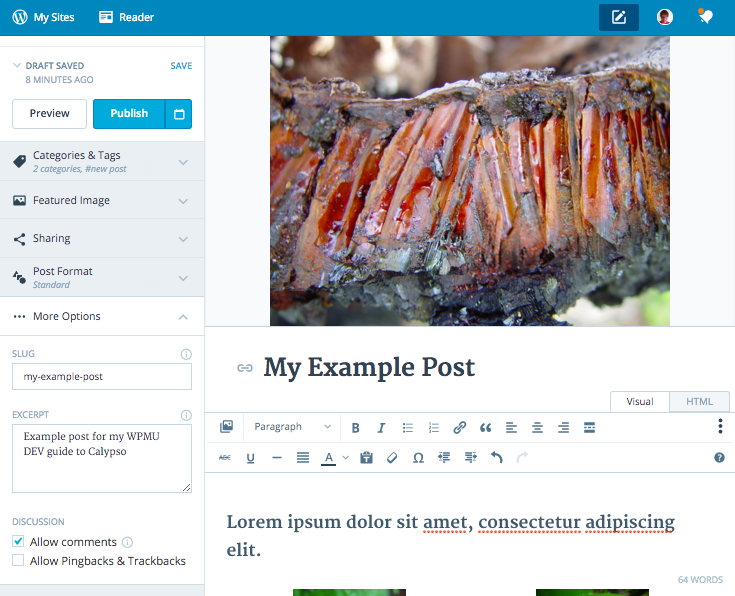 Calypso will automatically save your post as a draft in the background, so there isn’t a button for that. If you click on the Categories & Tags tab, its contents will slide down. Select the categories and tags that apply to your post by checking them. Click on the Set Featured Image button and you’ll see the media uploader again, from which you can add your featured image. Creating Pages is very similar to reading posts. To go back to the main admin screen, click the All Posts link at the top of the admin menu when editing a single post (if that’s where you are). Adding your page title and content is the same as for a post so I won’t cover that again. Instead let’s take a look at the admin tabs on the left hand side. The first tab is for featured images, which works in the same way as for posts. Note that these will only be displayed on pages if your theme supports them. Here you can select the parent page for this page and specify the menu order. 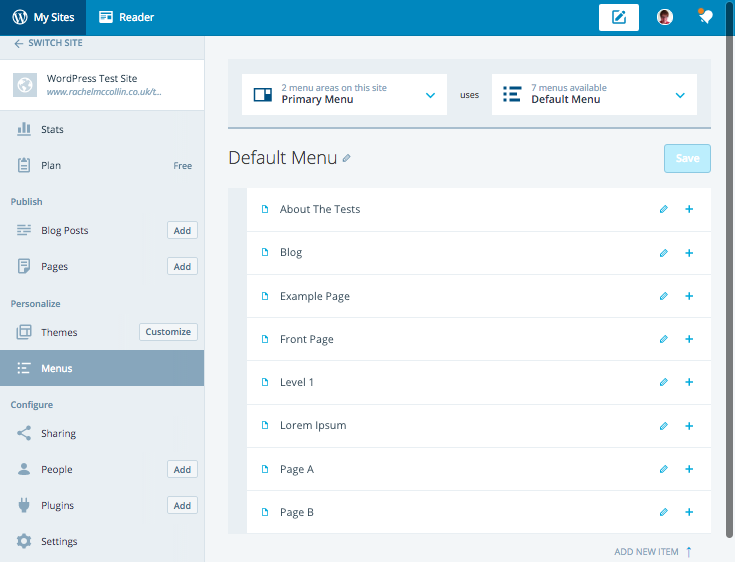 If your theme has multiple page templates, this is where you can select the one that applies to your page. 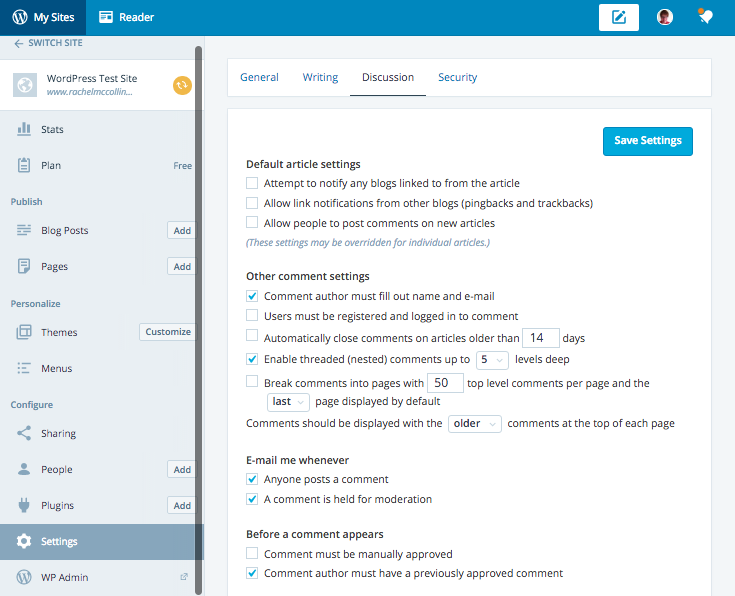 Here you can specify the slug, discussion settings, and any other specific page settings added via your theme. You can filter the selection to display published, draft, scheduled or trashed posts by clicking the options at the top of the listing, or click the search icon to search for a specific post. To edit a post, click the Edit link beneath it. Alternatively, click the View link to view it on your site, the Stats link to view visitor stats for that post or the Trash link to trash it. 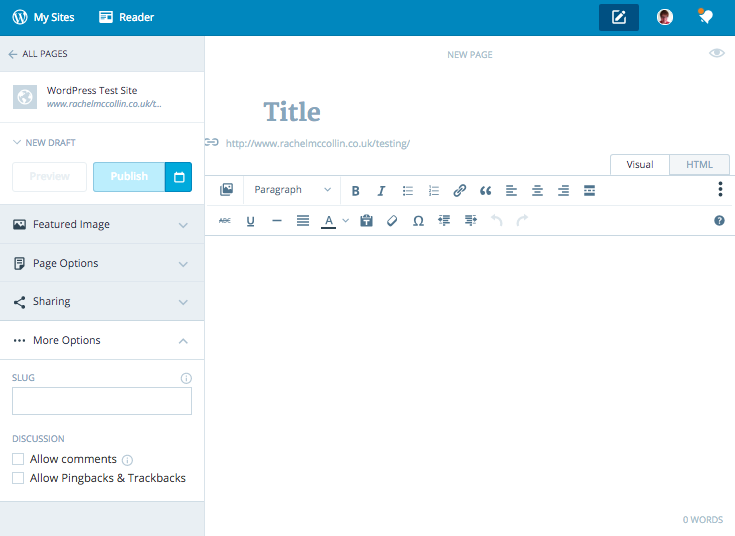 As well as creating and editing your content, Calypso lets you manage your site and its settings. 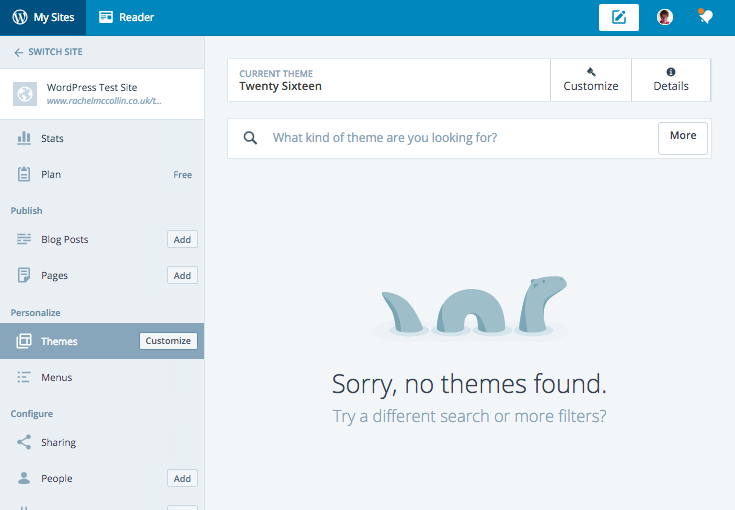 Personalize, which includes the Themes and Menus tabs along with the Customize button. 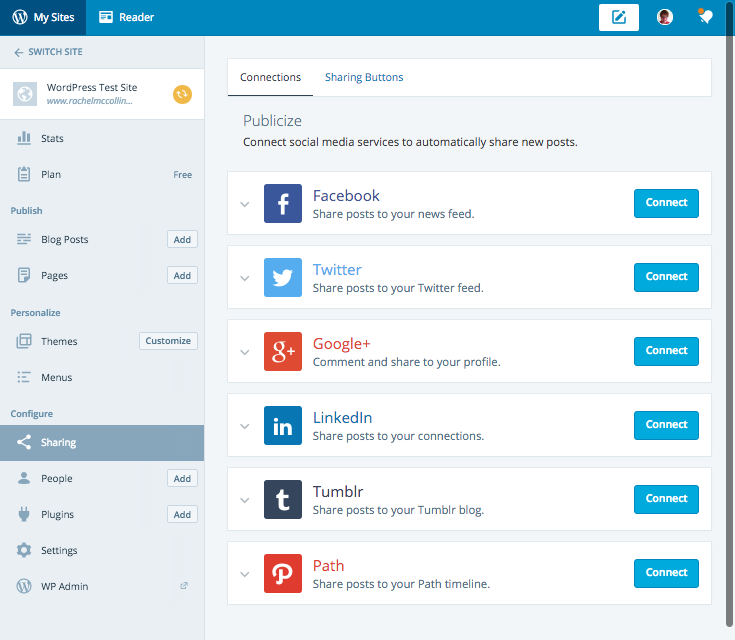 Configure, which includes the Sharing tab for linking to social media via Jetpack, People for managing your site users, Plugins for installing and activating plugins, Settings for other site settings, and WP Admin which takes you to the admin screens in your main site. Let’s start with the Customize options. 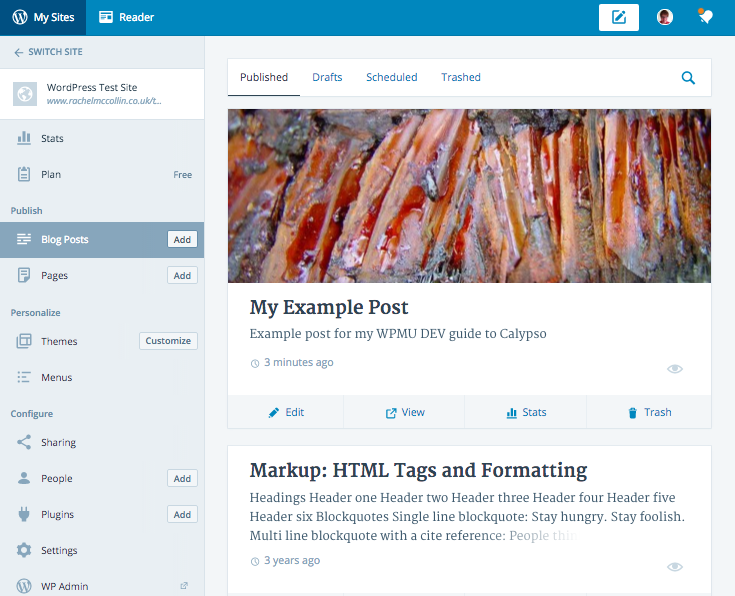 Calypso lets you view your theme and link to the main site admin to customize it or install new themes. It also lets you manage and create menus. 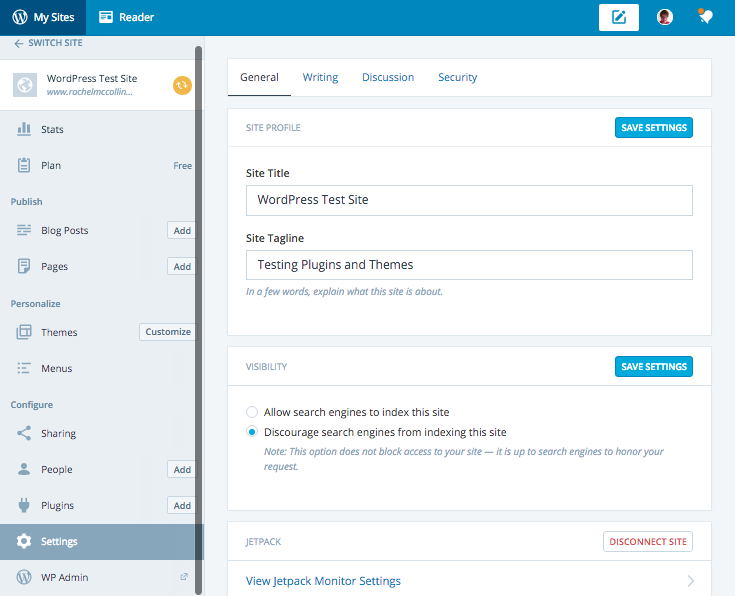 To install a new theme, click the More button, which will take you to your main site admin. Editing a menu that isn’t assigned to a menu area seems a bit tricky. The only way I can find of doing this is to select the menu on the right (which assigns it to the currently selected menu area on the left), edit and save it, then reselect the menu that should be assigned to that menu area. Don’t forget the final step if you want the correct menu to be assigned to the correct menu area. 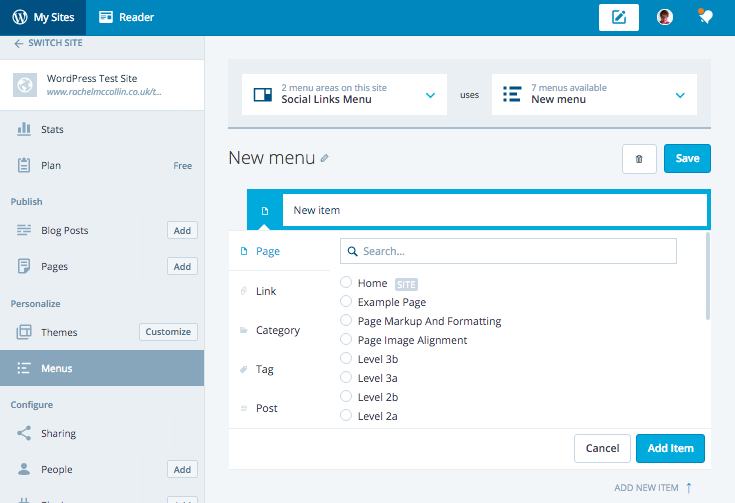 Calypso won’t save the changes to your menus until you click the Save button, but you’ll have to do this to save your unassigned menu before switching the correct menu back to the menu area – which will mean that the wrong menu will temporarily be displayed on your live site. For this reason I’d caution against using this feature on a live site – switch to the main admin screen for unassigned menus instead. Note: If it is possible to do this in another way, please let me know in the comments – I can’t work one out, but that doesn’t mean it’s not possible! Select the item and click the Add Item button to add it. You can edit your menu items by clicking the little pencil icon to the right of each item. Don’t forget to save your menu afterwards! The final set of options are for configuring your site settings. The menu items you have available here will depend on what modules of Jetpack you have enabled (I’ve got Sharing:– you may see more if you’ve enabled more modules). Use the buttons to log in to each of your social media accounts and save their details. 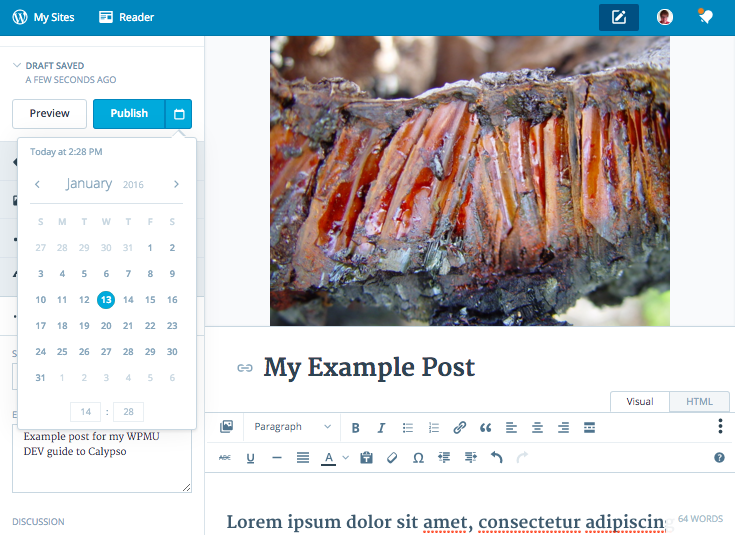 Jetpack will then let you add social sharing widgets to your site. 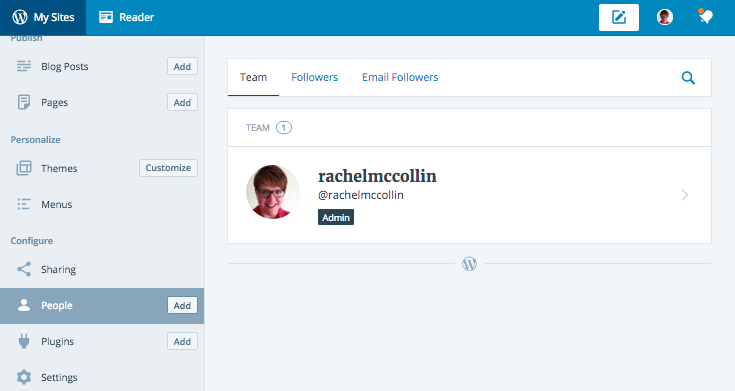 This uses some concepts which are different to the standard WordPress admin screens: it divides your users into Team, Followers and Email Followers. Team includes anyone with an account on your site, Followers are people with a WordPress.com account who’ve chosen to follow your site in WordPress.com and Email Followers will be people who’ve subscribed for email newsletters but not necessarily created a user account for your site. You can add a new user by clicking the Add button to the left of People in the main menu. This simply takes you to the Add New User screen in the WordPress admin screens, outside of Calypso. Simply click on the Install button and the plugin will be installed, without you being directed back to the WordPress admin screens. This means that there will be some settings you’ll have to go back to your main site to manage, such as those for Reading, Media and Permalinks. So those are all of the screens and options that come with Calypso out of the box. You may find that you get more screens if you have more Jetpack modules enabled or you’ve got other plugins installed that Calypso can work with. Having worked through all of the Calypso screens and interface, I think it’s a promising new system. 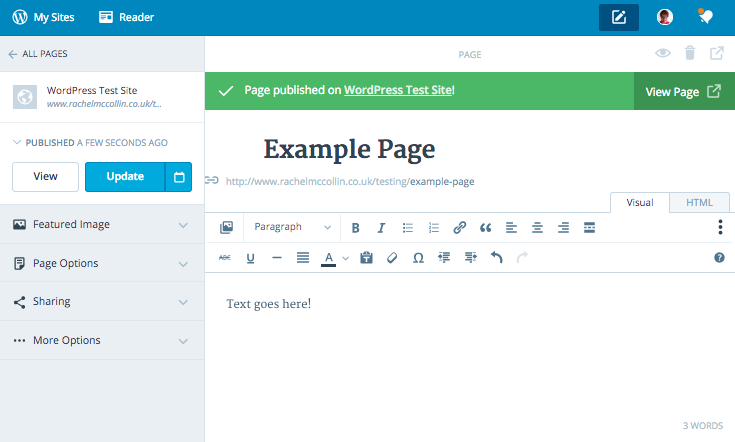 It shows how it’s possible to create a completely new version of the WordPress admin without any changes to core. Two of the objectives for the Calypso project were improving the UI and making it easier to push updates, and both of these have been and will continue to be met. An area which I believe has particularly improved over the standard screens is the plugin management screens, which have a really clear, intuitive user interface. However, as it stands right now, Calypso isn’t complete. 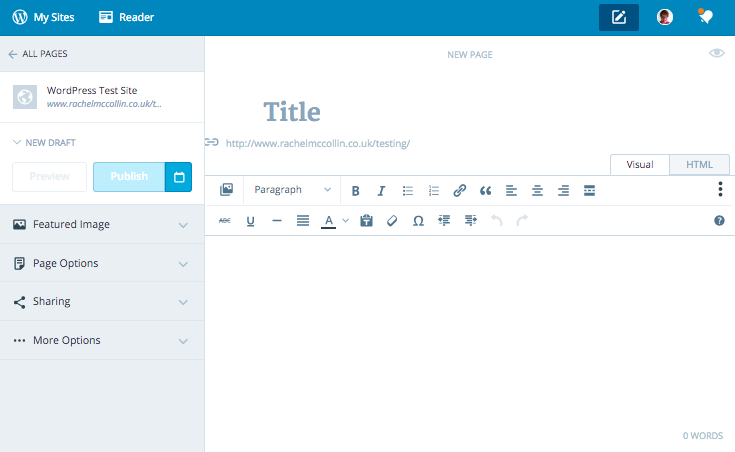 There are some menu options which send you back to your main site, the Customizer isn’t integrated into it and (importantly for anyone using WordPress as a CMS) it doesn’t let you work with custom post types. It’s also dependant on having Jetpack installed and a WordPress.com account set up. It’s certainly not something I would use for client sites at the moment, even with the UI enhancements. This will change, though. I asked Nicolay Bachiyski, a lead member of the Calypso project, about the future of Calypso and he was confident that more features will be added to it over time. 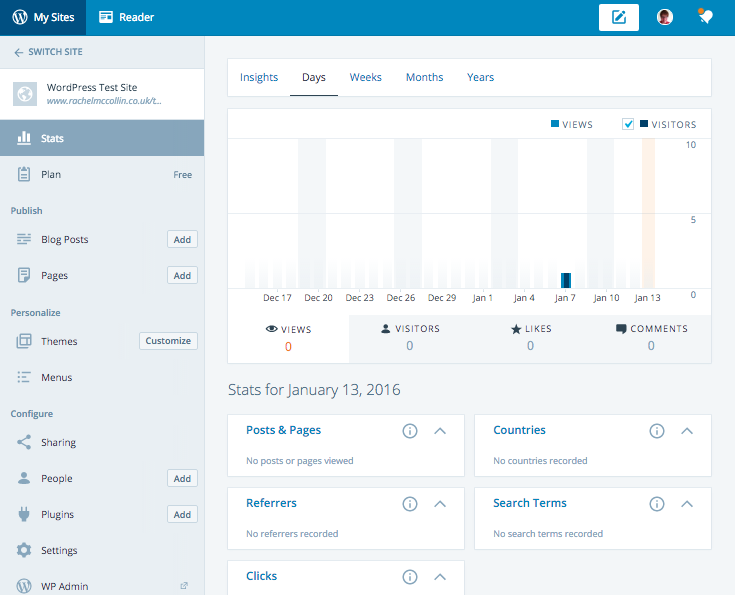 But Calypso is just the first of what will likely be a number of alternative WordPress admin systems, and shows us what can be done. It also makes it easier for you to follow other self-hosted WordPress sites, manage multiple sites from one place and be more social – giving you a service closer to what WordPress.com users get. I hope that developers will see this and be inspired by it to create alternative admin systems that interact with the WordPress REST API for self-hosted sites, meaning you won’t need a WordPress.com account to use them. 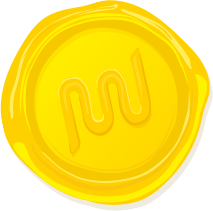 Exciting times are ahead! Have you used Calypso? What did you think? How would you like to see Calypso evolve? Let us know in the comments below what you think about WordPress.com’s app. is it just to wordpress.com or wordpress.org too? It will work with .org if you have Jetpack installed and connected with your .com account. are you sure? did you try? It’s clearly stated that it should with both WordPress.com and Jetpack-enabled sites. 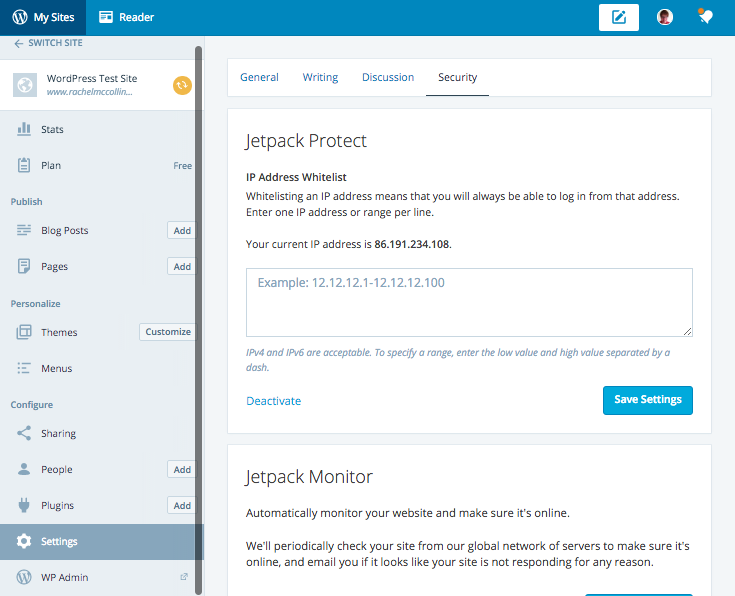 This however means that the self-hosted site must have Jetpack installed, enabled and connected to WordPress.com account. Yes, it does work with a self-hosted site with Jetpack installed – that’s what I used for the demo screens in the post. It would be nice if WPMUDEV would create detailed guides like this one, for their OWN products! Thanks Dennis – any specific products you have in mind? I’d be happy to look at writing some similar posts for WPMU DEV products (although you may find what you need in the plugin pages for each product, there’s quite a lot there). Sounds like a cool addition to WordPress. I wish it was for self hosted versions though. I hate Jetpack and wordpress.com. So little control, so little! I”m with you there – right now it is just for wordpress.com or Jetpack, but as the wordpress.com and wordpress.org teams are working on converging the two REST APIs, I don’t think it’ll be long before similar solutions emerge without Jetpack. Anything new on this front? Anyone have any info if this still requires jetpack for self hosted? Or is there an alternative out there?